Craig Communications was started in 1997 as one of the first telecommunications phone equipment suppliers to sell major brands of office phone system equipment on the Internet. We have been offering our customers from the very inception, quality refurbished & Unused phones from Major manufacturers such as, NEC, Inte-tel, Toshiba, Mitel, , AT&T, Vodavi, Lucent to name a few. We may conduct business over the Internet, but our operations are founded on service and commitment to customer satisfaction. We offer a full line of quality refurbished/ used phone equipment that we stand behind with a ONE YEAR WARRANTY!. Call today to talk to a representative! Craig Communications has become the preferred phone system dealer for the offices of businesses, school districts, fortune 500 companies, military installations, state police dept's, city municipalities, Government agencies, as well as colleges and universities throughout the US. CHEAP PHONE EQUIPMENT ISN’T ALWAYS THE WAY TO GO. When shopping for phone system equipment for your office on the Internet, never shop strictly on price. Service is a factor that many Internet shoppers overlook. When you shop strictly by price, you miss the hidden costs incurred when the phones don’t meet your expectations or require additional service. Our prices are competitive AND we back our phone equipment up with service and warranties. That is why Craig Communications excels in customer service and earns repeat business from our customers. Here at Craig Communications we understand that your telephone system plays an important and integral part in the success of your business. That's why we work so diligently to refurbish every phone to quality standards that many see as “like new”. We stand behind every piece of equipment that we sell with a ONE YEAR WARRANTY. We challenge you to find another office phone system reseller that will stand behind their product like we do. When you purchase a telecommunications system from Craig Communications, you are building a relationship with a company committed to selling you quality phone systems and solutions at a great price with first class service. We want to earn your satisfaction and referral business. Let one of our phone system experts Find A Quality Phone System for Your Office. "As a first time buyer from your company, I just wanted you to know how very impressed I am with your professionalism and the quality of your phone system equipment. The boxes were shipped out super fast and the phones are the best looking refurbished phones I have ever seen! We will be doing more business. Thank you!!! " Amanda A Carter- Executive Communications Inc.
" Thank you so much for your help with this phone part. I really appreciate your fast service. I know you don't make much money on a transaction like this but you treated us like we were a big customer. Thanks again and we will be doing business in the future. " 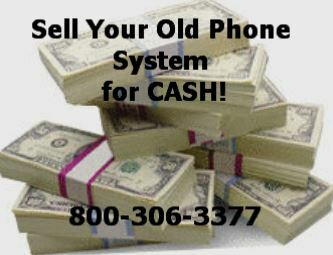 "Thanks for all of your help today in ordering the two Norstar M7310 Telephones and the Trunk Card. It's not too often you find people who are dedicated in providing excellent customer service. I will highly recommend people who are in the market to buy telephone systems and phone accessories to your site." "Thank you for all your help. I plan to recommend you to whoever I can. Your're by far one of the most helpful people I dealt with on this subject of phone systems"
"It has gotten to be that one cannot trust people to do what they say and do so with courtesy. But that was not the case with your company. Your sales force is very pleasant and helpful. You did not run me around as a lot of people would have. Anyway, thanks for being so tolerant with me. I am 67 years old and appreciate consideration."." "The phones are here! Thank you so much for your prompt attention. I truly appreciate the great service and will use your business in the future. "